The public is invited to tour Dunwoody’s 24,000 square foot renovation on Friday, September 28, from 10 a.m. to noon during a Community Open House. A ribbon cutting and special program will take place at 10:30 a.m. 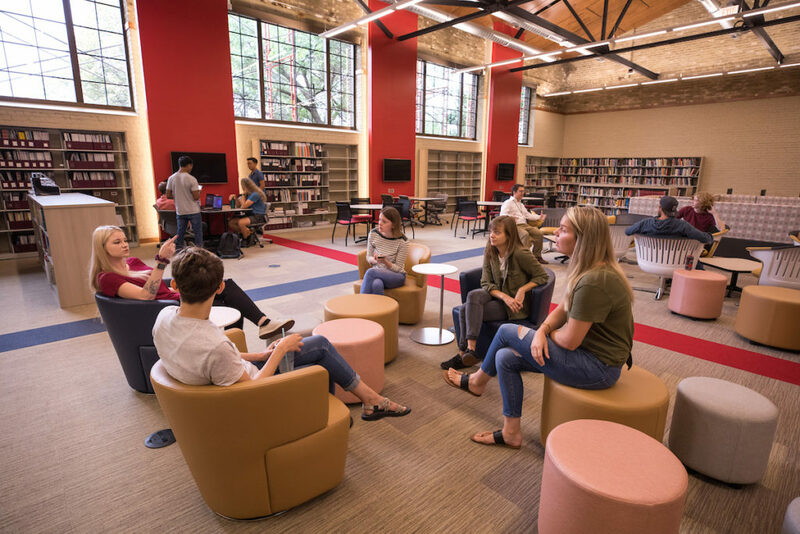 The renovation includes the transformation of an under-utilized gymnasium into a two-story space with a state-of-the-art Learning Commons and new Welcome Center. The new space also includes additional classrooms/study areas and an open area for community and student gatherings. This is the first phase of an ambitious campus facilities plan. The renovation project was made possible by generous donors. The need for the transformation of the College’s 100-year-old campus is due in part to the growing student population and the new School of Engineering. Students using the new Learning Commons on the first day of classes for Fall semester 2018. 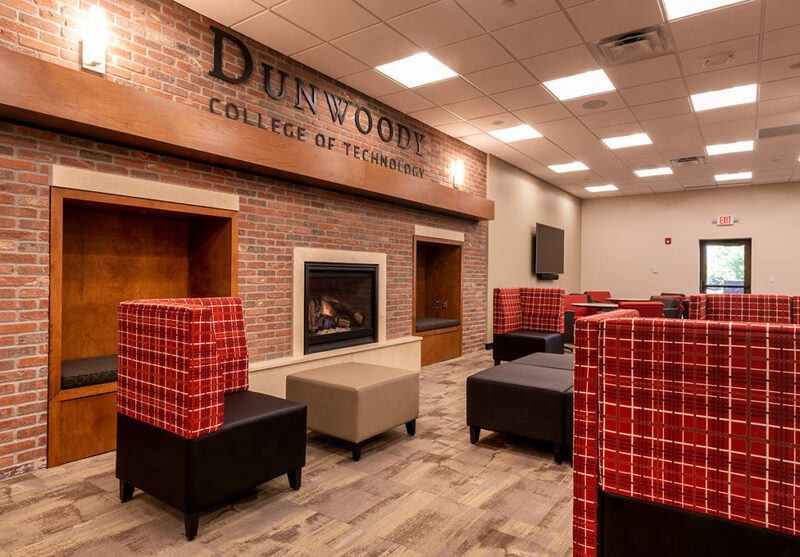 Dunwoody launched its School of Engineering in 2015, which now includes bachelor’s degrees in Mechanical Engineering, Software Engineering, Electrical Engineering, and Industrial Engineering Technology. The engineering programs join more than 40 other offerings, including 4-year degrees, 2-year degrees, and certificates. For questions about the Community Open House, contact alumni@dunwoody.edu.